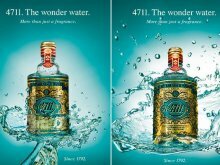 Cologne is a feeling. Anyone who has ever visited and lived in this attractive cathedral city never wants to leave again. It is this unique feeling, the result of a cheerful way of life, an atmospheric city experience and Mediterranean flair, that captivates everyone who experiences it and brings on homesickness in forced absentees. Here goes the song: a thousand times sung about, a million times visited. 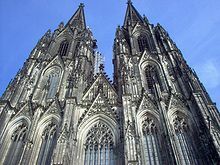 As the landmark of Cologne the Cathedral enjoys worldwide fame. 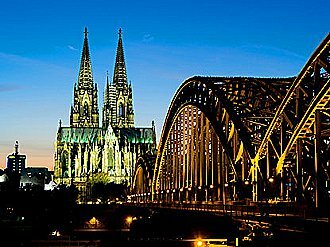 More than six million visitors come to see it every year and for good reason because this masterpiece of Gothic architecture, built between 1248 and 1880, is a real must-see.The magnificent Cologne Cathedral hovers above the roofs and chimneys of the city. 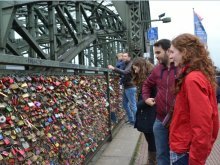 It is not only used as a point of orientation but is the pride of the people in Cologne. It can be seen from nearly every point in the city centre and from many places elsewhere. Cologne is one of the most popular places to go shopping. There are said to be people who come to Cologne especially for a big shopping spree. The Schildergasse and the Hohe Strasse remain the two most popular shopping streets. Those with a penchant for trendy shops should make a detour to the Ehrenstrasse nearby. The Mittelstrasse is the place to go to find the swanky shops selling luxury labels. 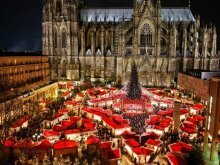 Whatever your Shopping-heart is coveting: You are sure to find it in Cologne! Beer, language, lifestyle. Not just during the Carnival season, but all year round Cologne’s inhabitants charm all the outsiders with their talent for taking it easy. 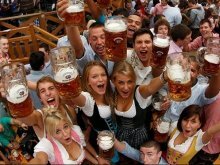 Being of a cheerful Rhenish nature the people of Cologne holding a Kölsch, a light, top-fermented beer, are more likely to be seen in one of the numerous brewery taverns all around the Altstadt than to be seen grumbling. 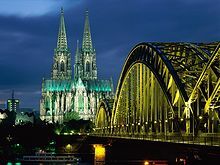 Visitors from outside of Cologne, “Immis”, will receive a warm welcome here even during the year’s other four seasons. Cologne’s inhabitants are tolerant all year round: “live and let live” is the motto. The Kölsch beer is a specially beer only brewed in Cologne. It's light and served in the traditional 0.2 litre Kölsch glasses which are tall and cylindrical.